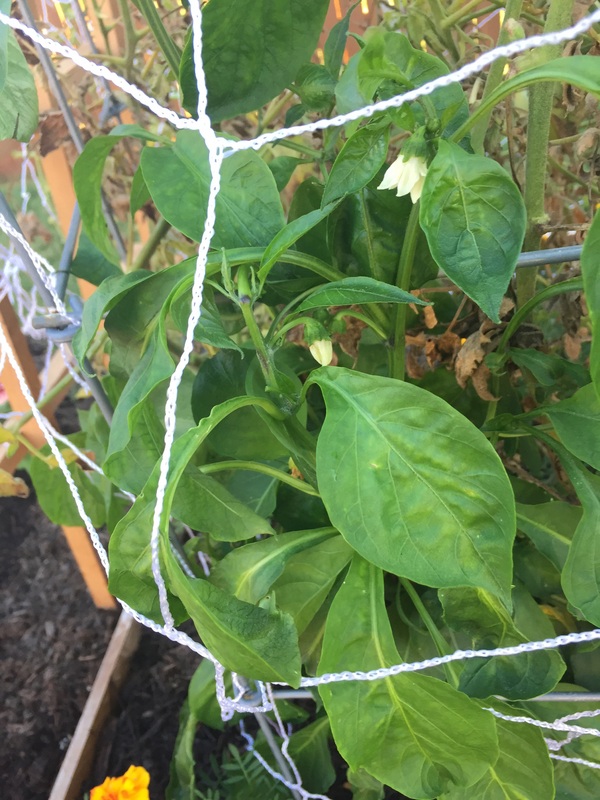 I’ve never grown peppers before, but I think it’s odd that it took four months for them to flower. Maybe it’s that the tomato plants have moved in on their territory, so they’re getting less direct sun than they might need. Although given it’s been in the 90s for several weeks, the shade may be helpful. I honestly don’t know. Tomato plants tower over peppers. I’m not sure how much longer the Easy Girl and Better Boy tomato plants will hold up to the heat. They’re getting plenty of water, but they’re still getting pretty brown. There are still a couple dozen green tomatoes on the vines and even a few yellow blossoms, but at this point in the hot summer, I doubt the flowers will amount to anything. 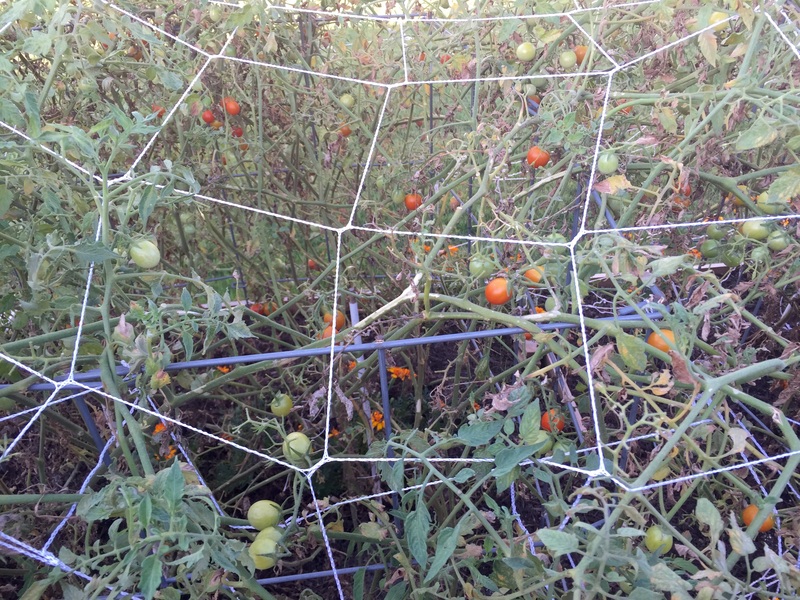 The cherry tomato plants are finally full of red and green tomatoes. FINALLY! And they’re delicious, too! 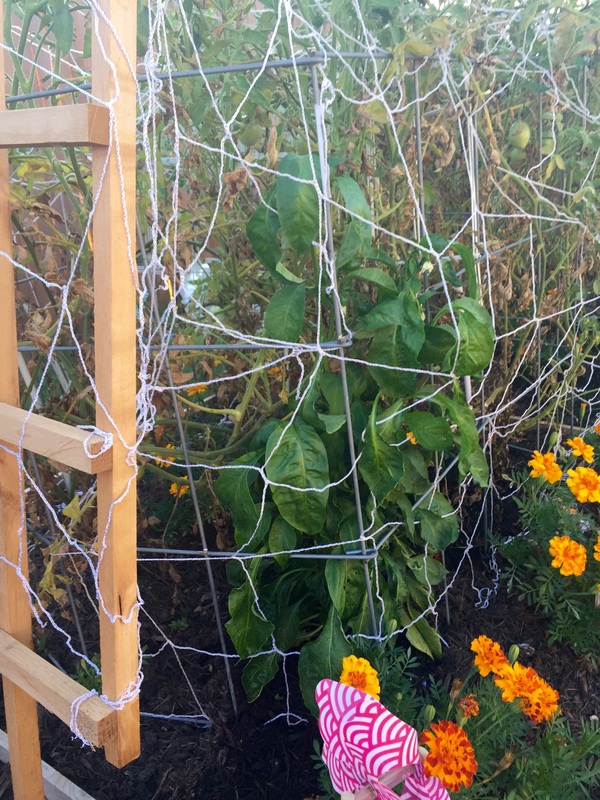 This entry was posted in Gardening and tagged peppers, tomatoes on July 17, 2015 by Julie Riebe.